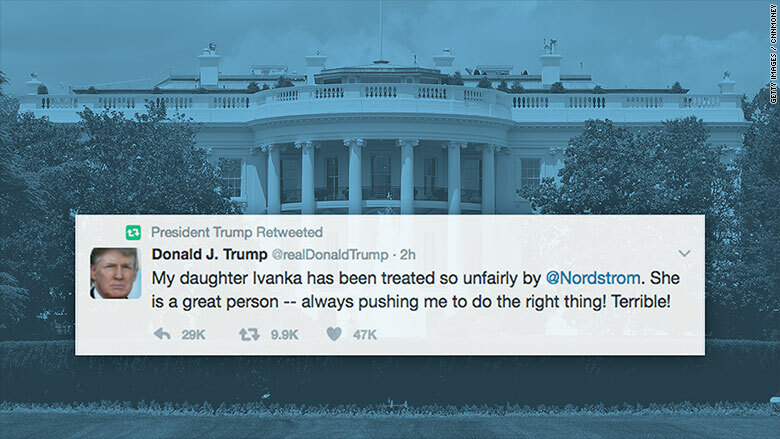 Bad enough Trump was pushing his daughter’s products in a a tweet today about Nordstrom. Worse is that the official POTUS twitter account did it, too. Because that’s what Americans want from the official account of the President of the United States of America. To hear about whether he feels his grown-up businesswoman daughter should have better sales. Yes there was a Trump Board Game! Wow can’t believe how dumb he really is. Using the official Whitehouse Twitter account. Childish to say the least. Growing up Mr Trump! Why should I hire a structural steel expert?